Dean Baker, PhD, senior economist at the nonprofit Center for Economic and Policy Research spoke with NPR's "Planet Money" program about physician salaries and a particular barrier to entry into the healthcare profession: residency programs. 1. Dr. Baker posits that physicians are "seriously overpaid," and their high salaries are a consequence of certain regulatory and financial constraints on the number of residency positions available to medical school graduates. 2. He equated the U.S. residency system to a cartel, arguing that such organizations limit the supply of a certain good or service to increase the amount of money they can charge. Dr. Baker said the U.S. residency system turns away thousands of perfectly qualified individuals and essentially acts as a bottleneck preventing an adequate supply of physicians. 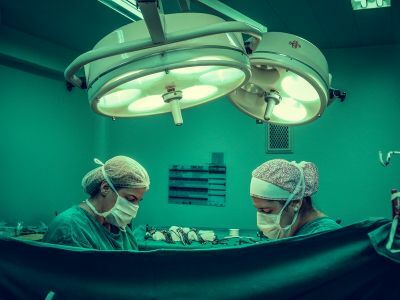 Residencies are also typically funded by Medicare, and in 1997, Congress capped the number of residency programs that could receive funding, further contributing to the issue. 3. Some organizations, however, argue that such a bottleneck doesn't exist. The American Medical Association indicates the total number of physicians in the U.S. has quadrupled since 1965, according to NPR. The organization also said it's working to alleviate the shortages of physicians in certain areas by increasing the size and number of medical schools and residency programs. 4. While the AMA's current goals aim to improve the availability of residency positions, Dr. Baker argues the organization, and others like it, may still be contributing to the problem. He compares the AMA's actions to those of the Organization of the Petroleum Exporting Countries, which regulates a large portion of the world's oil supply. "OPEC sometimes votes to increase the supply of oil. That doesn't mean that OPEC isn't restricting the supply of oil and pushing up the price," he said.